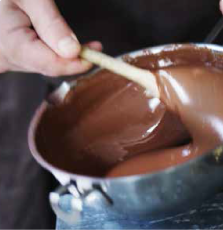 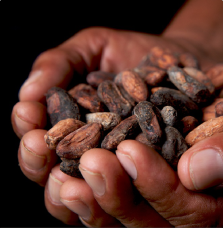 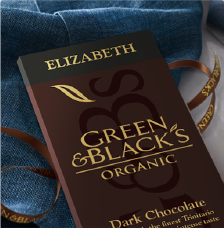 Prepare your taste buds for our chocolate lovers organic chocolate hamper. 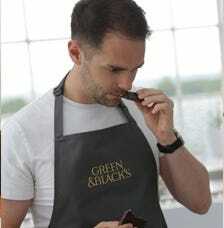 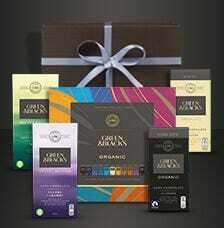 Great value for £10 the ribboned gift box contains a collection of Green & Black's best selling organic chocolate bars. 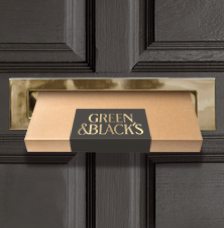 Green & Black's classic dark, milk and white chocolate bars make the perfect chocolate gift for Mother's Day. 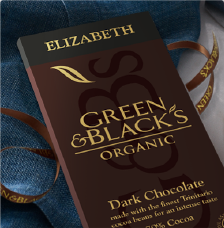 1 x Green & Black's Organic Dark 70% Chocolate Bar 90g, 1 x Green & Black's Organic Milk with Sea Salt 90g Chocolate Bar, 1 x Green & Black's Organic Milk with Butterscotch Chocolate Bar 90g, 1 x G&B's Organic Milk 35g Chocolate Bar, 1 x G&B's Organic White 35g Chocolate Bar.